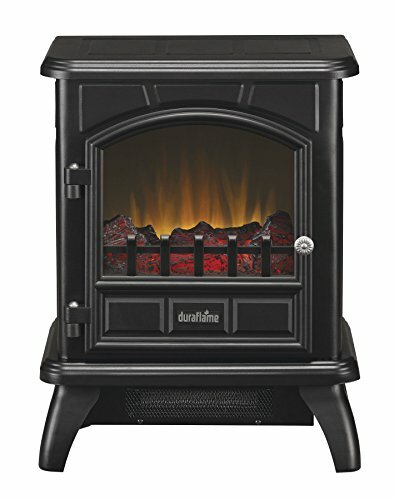 Able to use directly out of the box, the this Duraflame stove would be the center of attention from the moment you plug it in. 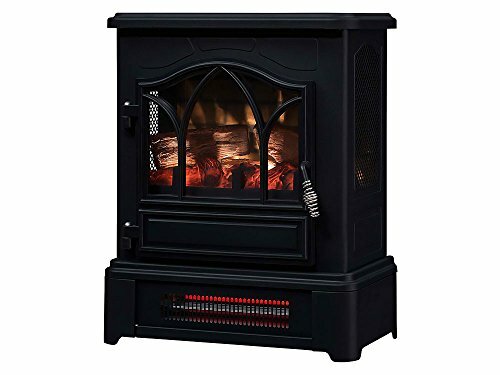 Styled in the aesthetic of an antique wood burning stove, this compact fireplace heater features a traditional design with subtle molded details, a glass pained front and perforated sides for better viewing of the superb artificial flame effects. 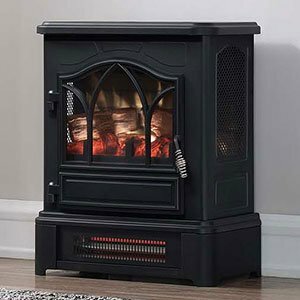 The incredibly realistic flame effects make comparable stoves look like child’s toys. The illusion is top notch and is the very best source of ambient light when you settle in for a night of relaxation. 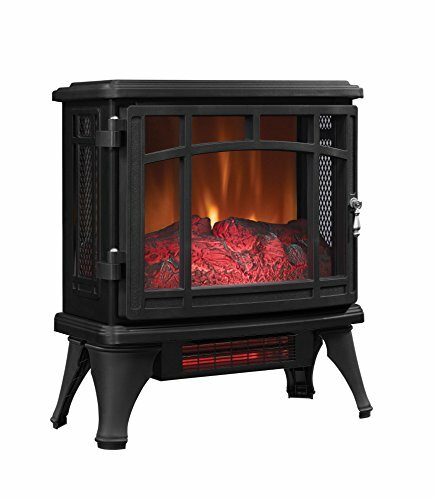 Integrated into the base of the fireplace is a powerful and energy efficient quartz infrared heater. 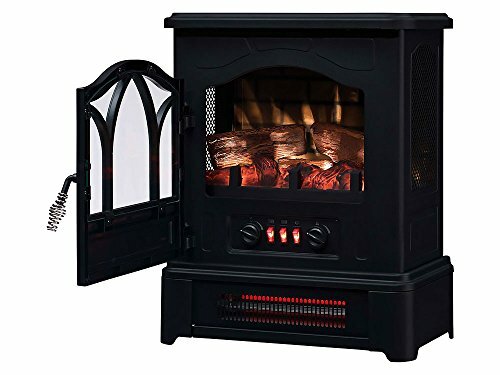 Though small in size, this mighty heater is capable of warming areas up to 1,000 square feet with protected supplemental heat. 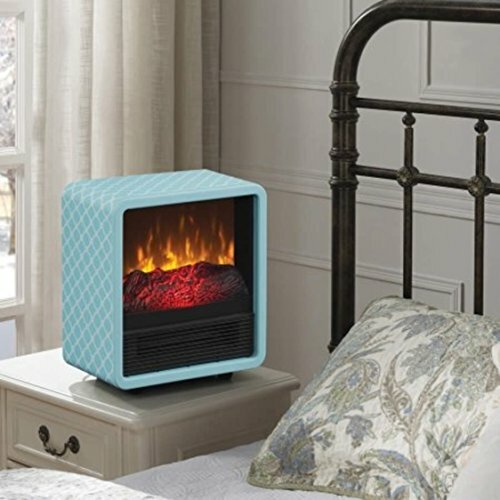 Great for those with asthma or respiratory issues, the heater maintains the natural humidity within your room without drying it out like traditional heaters generally tend to do. Manual controls are conveniently located at the back of the operable front door for your convenience. 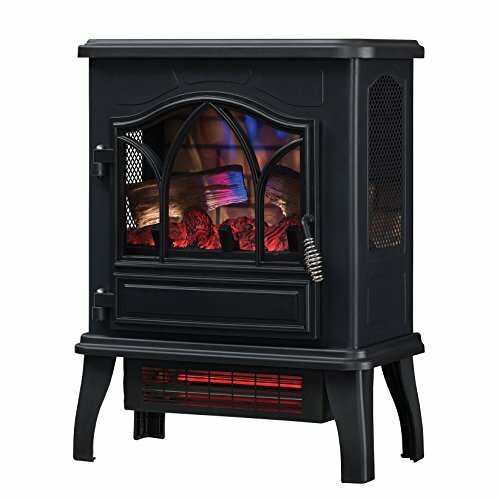 Controls include adjustable flame brightness, thermostatic dial & high/low heat settings. 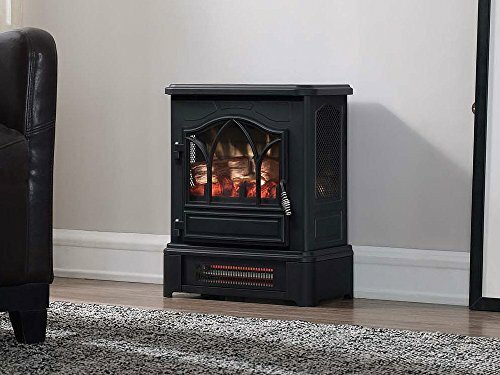 Bring the relaxing warmth and decorative ambiance of this charming stove to your circle of relatives room, bedroom or den for years and years of use and enjoyment.